China. It's a strange and special place throughout history. Religion and conflict over it is about as old as dirt, and China has had plenty of it's share, and it's part of why religion bans that came with communism made sense. Even now, the Chinese are not nearly as unified as one may think without religious divides. Dogs as food is also nothing new, nor was it ever isolated to Asia. When prey animals ran short, a hunting hound may end up dinner any place where hunting hounds were kept, and when the sheep fell to sickness or food shortage, the herding dog would take their place when families had to survive the winter. This makes the 'dog and lychee' festival rather important, culturally speaking. 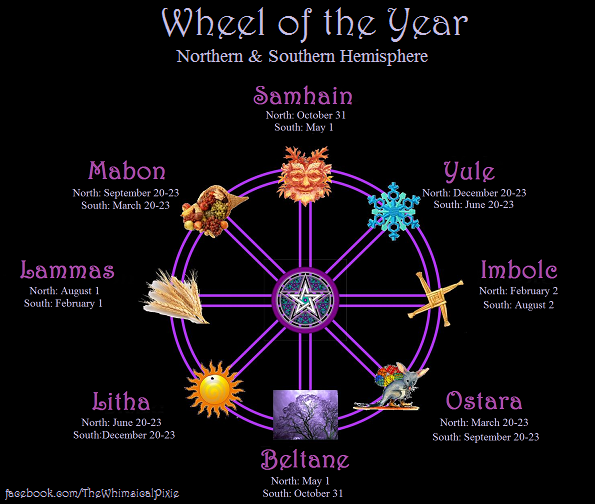 Food is the center of the solstice festival, making it VERY familiar to pagans. Yes, there is violence too, but in any tradition we can track, violent sacrifice is often part of it's oldest form. For most of the more visible non-christian paths the violent aspects have died out, but bull fighting has not and also comes from very pagan food and fertility rights. Side by side, modern dog and lychee festival in China and bull fighting are not that far removed from each other, and the Chinese word for 'offering' is even written with the character for 'dog' in it. Naturally, the Chinese government will not admit to any of this because the money made is more important than the religion ban. Given the suppression that many fertility and harvest based festivals have gotten in the Christian dominated era and China's ban on religion, I find it hard to condemn a shred of traditional worship slipping through the cracks of government control. We are talking about a nation where dissidents, such as Christians and Buddhists, can not only be arrested for faith, but also killed to be carved up as organ donors LEGALY. Yes, the cruelty to the ANIMAL bothers me, but the HUMAN RIGHTS issues bother me more. To me, comfortably sitting in America at a computer and getting outraged over a distasteful spiritual path would be easy, yet in China the notion of a path at all is something of a spiritual revolution. In days past, a food used since 1700 B.C. would have been bread and well cared for just as any live stock would be. Wounded and underfed animals don't live as long or get as big, so it was in primitive farmers best interest to be attentive. Suppression of the historic context and modern apathy in the meat industry have corrupted what began as a celebration of natures bounty, just as any meat we use for our own holy days may be corrupted if we don't personally know the farmer who raised and butchered it. Despite that, a sense of community and reverence still linger in a feast day for us all. So it's hard for me to condemn China's feast, no matter how savage it seems on the surface. It may be a loss for animal rights, but in a nation where American Christian Missionaries can vanish into thin air without any questions, this may be a step in the right direction for human rights.